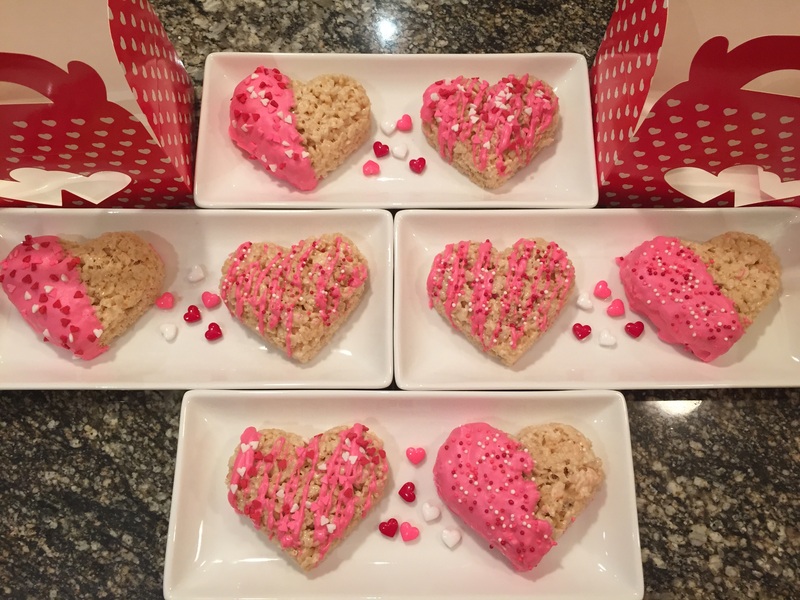 3 Sweet Treats- Valentine’s Day Edition! 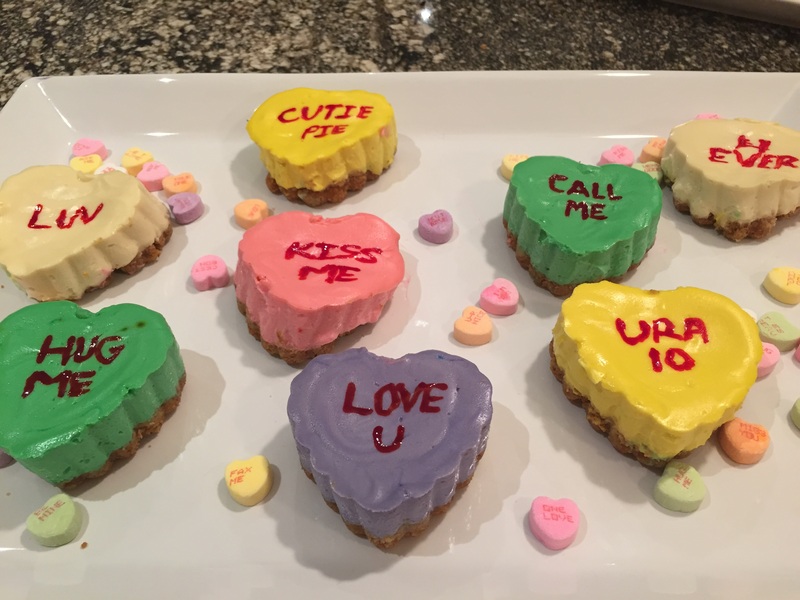 This Valentine’s Day I decided to really get my bake on! 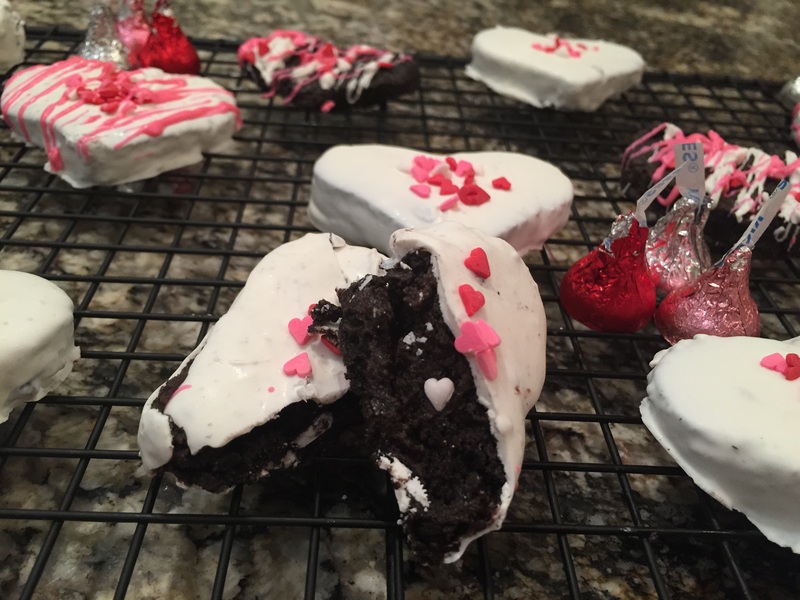 I opted for three different treats and I loved how each of them turned out! Below are the three recipes and pictures of each dessert! 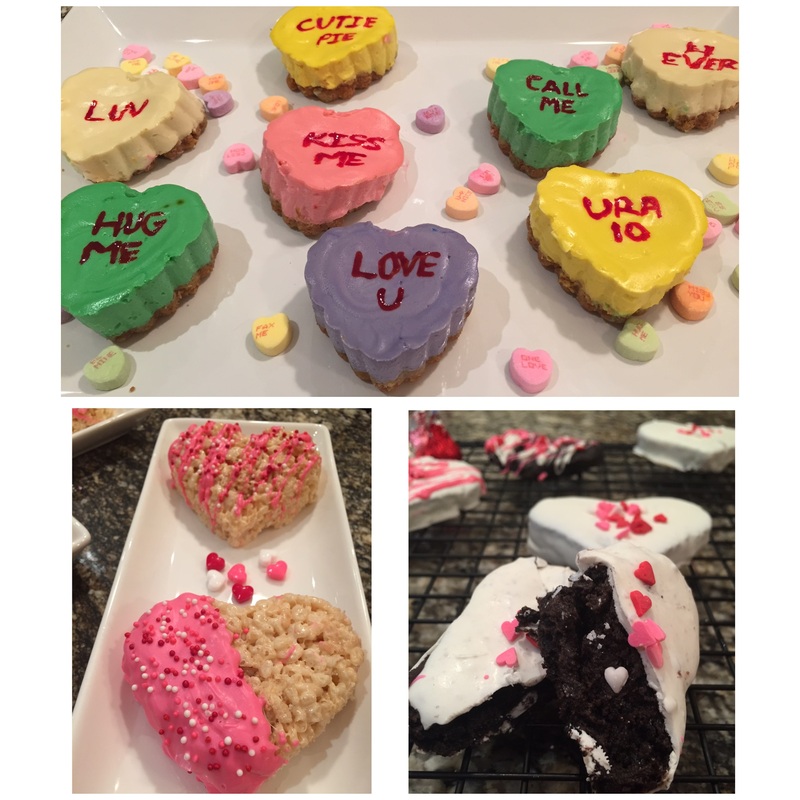 I hope you try these cute treats out and enjoy them as much as I did! I love to bake but if I have the chance to make a dessert that requires NO baking (yes, you heard that correctly) I am all ears! 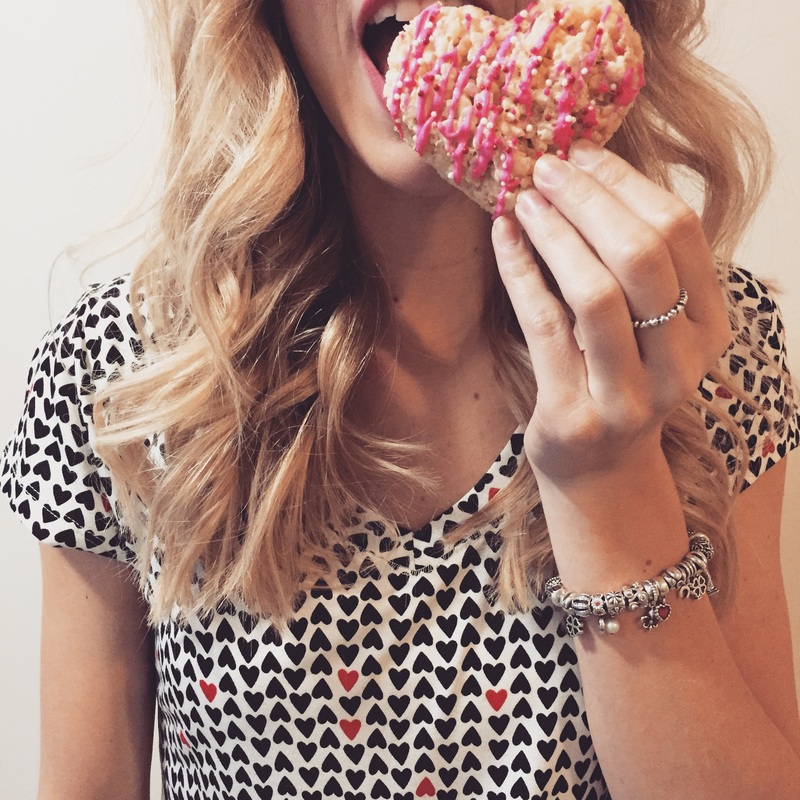 These delectable heart shaped truffles are the perfect mix of creamy on the inside and crunchy on the outside! If you don’t eat these all to yourself (which is totally understandable) they make a perfect Valentine’s Day gift wrapped up in cellophane with some ribbon. 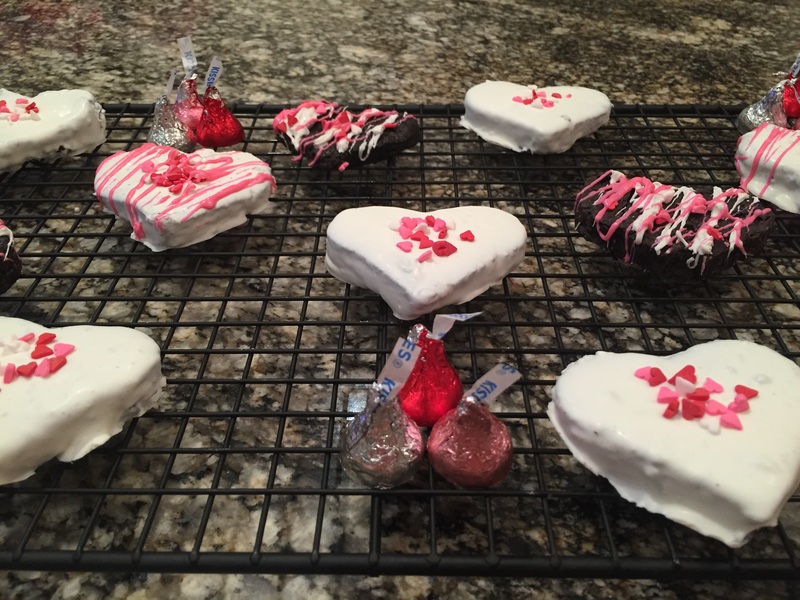 I only did a single-dip of chocolate for mine, but if I were to make them again I think I would do a double-dip to make a thicker and smoother finish on the hearts! You can opt-out of the sprinkles but I thought they added a nice extra crunch to the creamy texture inside! 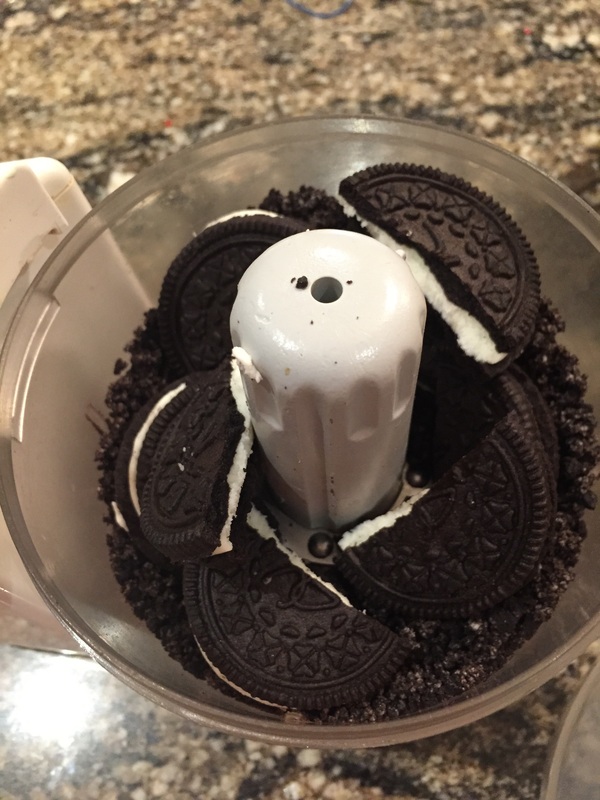 The thought of making truffles might frighten you but you have my word that these Oreo Truffles are super simple to make! The mixture might not look the most appetizing before its dunked in chocolate but the taste makes up for its looks! The only downfall of these treats is that they’ll disappear before you know it! * You can do this by hand (a little bit messy), or use a mixture with a paddle attachment. I found it a lot easier to just knead the mixture but hand. 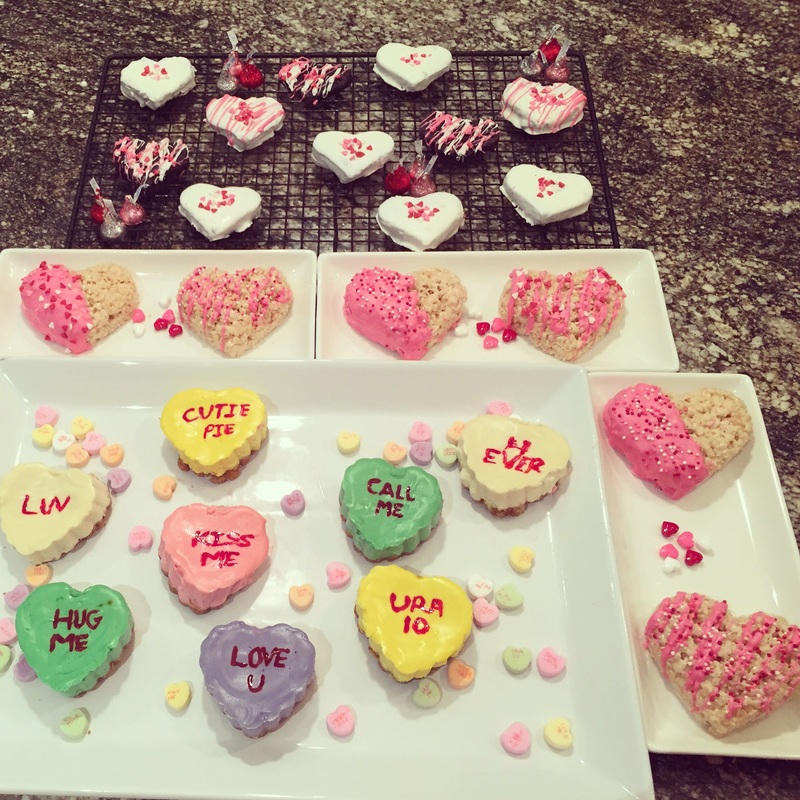 * Using your heart-shaped cookie-cutter cut out the shapes and place them back in the freezer for another 20-30 minutes. ***Truffles must be frozen before dipping them in the chocolate! * Take a few hearts out a time to dip in chocolate and decorate while the others stay frozen in the freezer until you're ready to get working on them. * Using a fork dunk your hearts into the melted chocolate and tap off any excess chocolate. 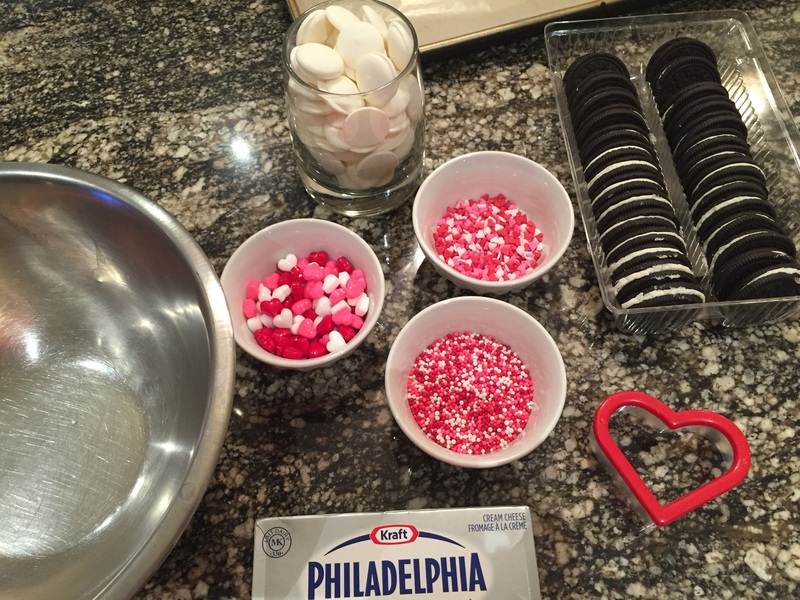 Transfer your completed hearts onto the wax paper and put any sprinkles on at this point if you are going to use them. Everyone young and old can’t turn down Rice Krispies. 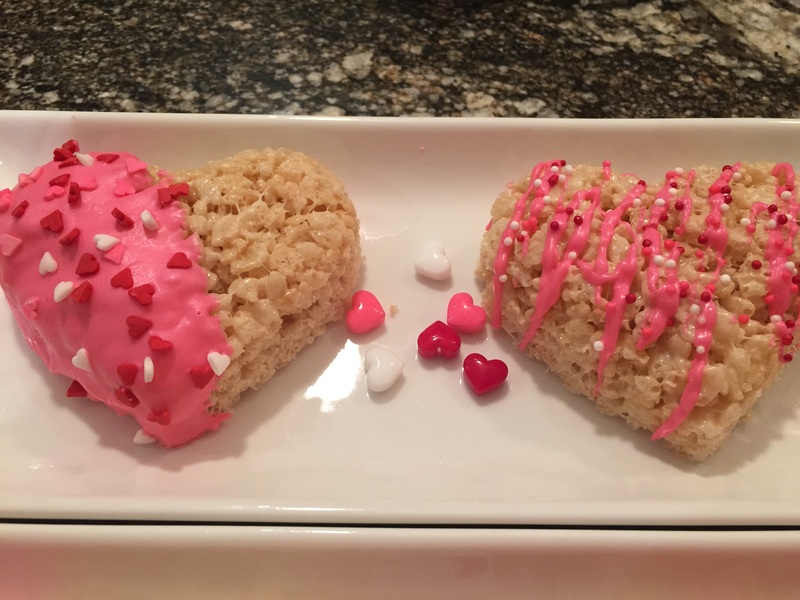 And who in their right mind would turn down a heart-shaped chocolate-dipped sprinkle Rice Krispie treat?! You can use any recipe that you have to make the Rice Krispies. I placed my completed mixture in a large casserole dish and immediately after I began to use a large heart shaped cookie-cutter. It is easier to do it when they are warm, making it easier to cut through the mixture. You can make them as thick as your cookie-cutter allows you too! Yields approximately 10 large heart-shaped treats. This will vary depending on how large of a cookie cutter you use! Having a bit too much fun in the kitchen with one of my favourite childhood treats! 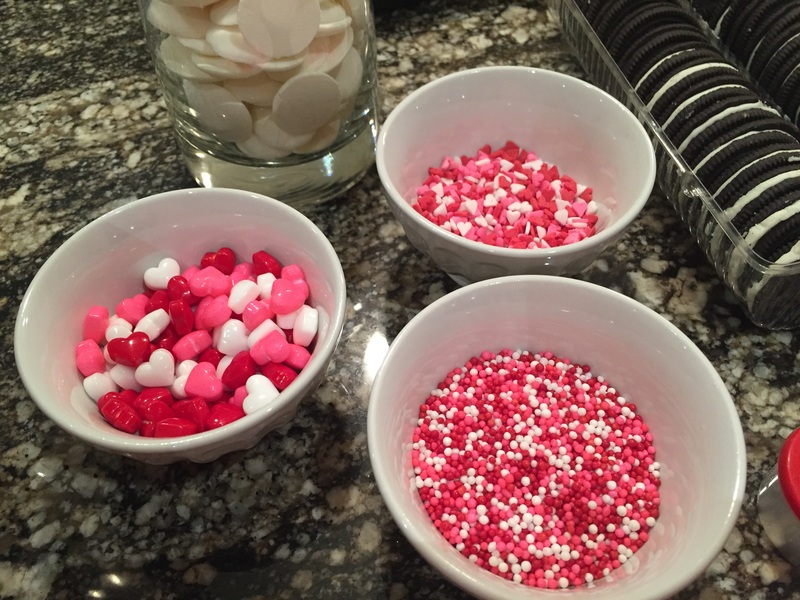 The iconic Valentine’s Day conversation heart candies were the inspiration for my final treat! 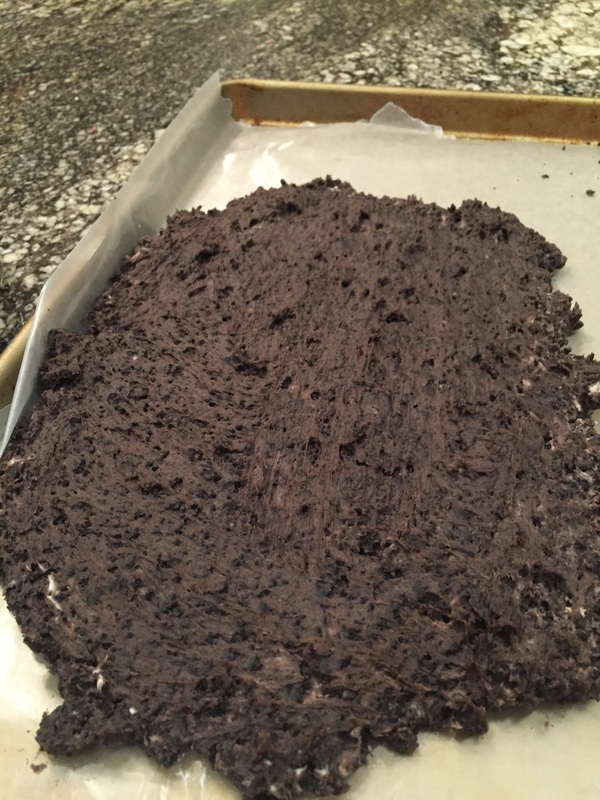 I decided to go with a cheesecake recipe that requires you to bake the mixture but it’s perfectly fine for you to go with a no-bake recipe if you have one! To coloured my hearts I went for Wilton brand gel food colourings in purple, pink, green and yellow and left a couple plain white. I used regular red liquid food colouring to write the messages on top of the hearts. I found heart-shaped silicone molds that were exactly the same that Wilton sells but for a fraction of the cost at Dollarama. 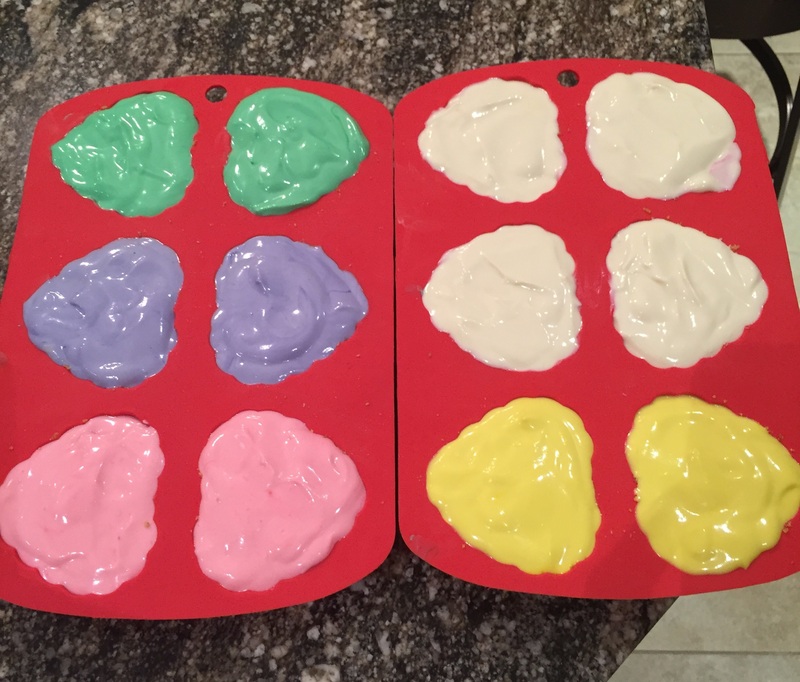 I bought two of these molds and I had just the right amount of mixture to fill them entirely! These molds make the perfect sized cheesecakes! * If you opt for a baked cheesecake you will need to make a water bath for it. Place your roasting pan in the oven filled with enough water to go approximately halfway up the sides of the heart molds. Allow the water to heat up while the oven does and bring some water to a boil in a kettle. * In a large mixing bowl, beat the cream cheese on medium high until smooth, scraping the sides of the bowl with a spatula as needed. You will also want to scrape off the extra cheesecake mixture from the mixing blade so that you have clump-free cheesecake! *Equally divide the filling in separate bowls to colour them. Add food colouring to create the colours that you like. * Pour the coloured cheesecake filling into the heart-shaped molds. Since cheesecake doesn't rise when baked you can fill them right to the top! * Remove your baked cheesecakes and allow them to cook at room temperature for about an hour. * Freeze your cheesecakes for at least 2 hours (if not more). Remove from freezer and carefully push out your cheesecakes from the bottom. If they don't pop out easily they aren't done yet and will need to go back in the freezer for longer. * To add the traditional conversation hear phrases squeeze some red food colouring into a small bowl. Using a fine-tip paint brush you can begin to write your messages on each cheesecake. Typically the says are printed in all capital letters. Don't worry if your words aren't perfectly centered, they typically aren't when they're printed on the candies. * The food colouring will dry once you place your cheesecakes back into the refrigerator or freezer for a while. These cheesecakes can be stored for up to several days or in the freezer for about a month! These were definitely my most favourite and most fun to make/decorate of all my treats! Canadian Winter Essentials! Aritzia sale items!